A tigress that has earned worldwide fame, Machali calls Ranthambore National Park her home. Born and brought up in the area around Ranthambore Fort and lake, Machali is known as the most camera-friendly tiger in India. However, her fame does not come from this fact; Machali is famous for a historic fight with a crocodile that lasted for about 13 hours in which she lost few of her canines. What more, the invincible tigress is the proud parent of Sundari, Broken Tail, Slant Ear, Jhumroo, Jhumari, Bunty, Bubbly, Satra, Athara and Unnis.Machali was born in 1997 and now is an ageing tiger. However, she beats other tigers in India by being one of the most photographed tigers in the world. Star Male is the dominant tiger in Ranthambore National Park. Reckoned to be amazingly powerful, this tiger was first seen in the year 2006 and is believed to be the son of tigress T-27. Sitara is recognized as one tigers that gave star tigress Machali a neck to neck fight. 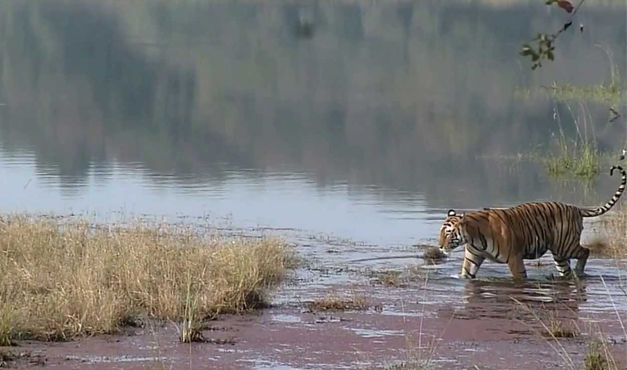 In the winter of 2009, Sitara and Machali were seen fighting for the territory several times. Today, the territory of Sitara overlaps with that of Machali and he reigns over Nalghati, Jhalara, almost the entire Mandoop plateau, Lakkarda and the three major lakes. Not only this, Star Male Tiger managed to take the territory of Machali but he also mated with her two young daughters Sundari and Unnis. 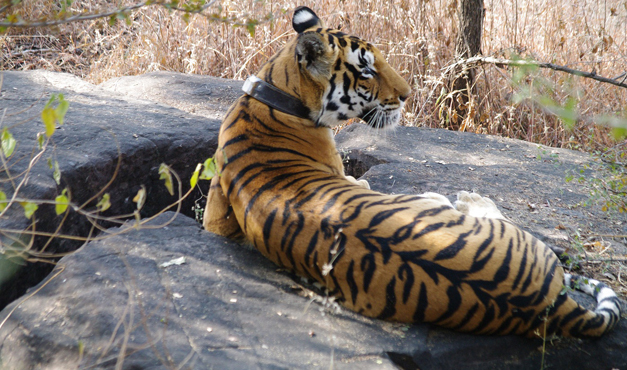 Named after the radio collar that this star female tiger of Pench National Park in Madhya Pradesh wears, Collared is a favourite of many wildlife enthusiasts. Fame came to this tiger early as she was born to an already famed tigress in the forest. Collared or Collar Wali is known for having given birth to the ‘famous five’, which are still so popular in the national park. Collared was born in the year 2005 and is known for her hunting skills and most of all for bringing up her litters extremely well. 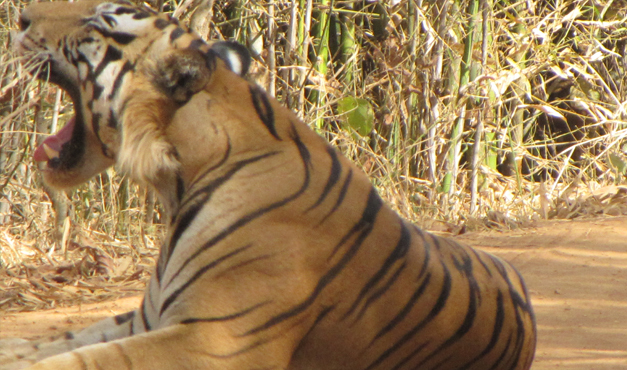 The queen of Tadoba Tiger Reserve, Malika is a dominant tigress in the sanctuary. This tigress was first seen in 2008 and is believed to have three siblings (2 brothers and one sister). Malika is a skilled tree climber and love chasing bisons and gaur in the park. 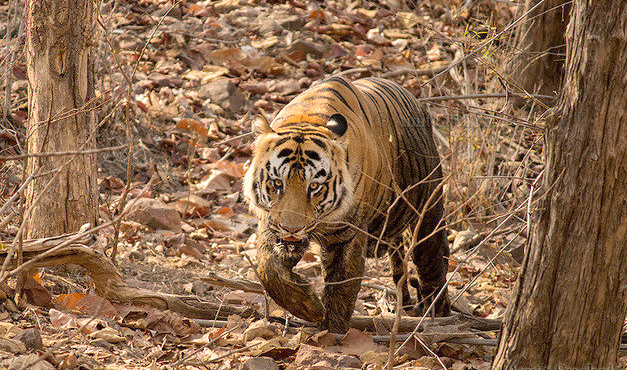 An expert at adapting to the harsh weather conditions, Malika is reckoned to be a successful survivor in Tadoba National Park. In 2011, she has given birth to three cubs, who are supposed to be fathered by M6 Tiger named Amitabh. She is a proud mother who has passed her surviving skills to her litters. 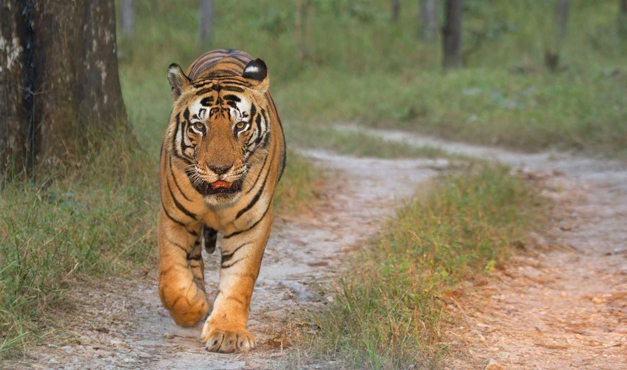 Also known as Langda/ Meadow Male, Munna is a dominant tiger of Kanha National Park. Not only this, Munna is also reckoned to be the most photographed tiger in the park. Reigning over Chattapathara to Bamni Dadar to Neelamullah to Link 9 to Kanhaghat to Naktighat, Munna has one of the largest territories in the forest of Kanha. However, his struggle for dominance was not easy as, during 2005 and 2006, Munna had to indulge in many fights in order to gain his present territories and in one of such fights he sustained a leg injury after which he became limp for quite a long time and attained the name as Langda or Limp. Despite his entire struggle, Munna is a reigning tiger of Kanha at present and is recognized by his prominent ‘CAT’ marking on his forehead. Well you guessed it right, Amitabh is named after famous Bollywood film star Amitabh Bachchan. This young tiger inhabits in Tadoba National Park and is apparently one of the most famous tigers in the park. Amitabh was first spotted in January 2010 and is believed to be the part of Duana Family. An excellent hunter, Amitabh is considered a tiger that always finds the choicest meal in the forest. 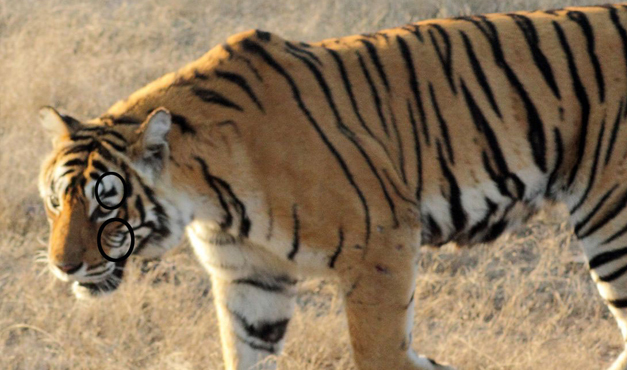 Although a brave and strong tiger, Amitabh has been seen running several times from angry sloth bears. Seems like, he needs to focus more on his skills of fighting with other big animals, nonetheless, Amitabh is popular amongst visitors in Tadoba and is also one of the most photographed tiger in the reserve as well.